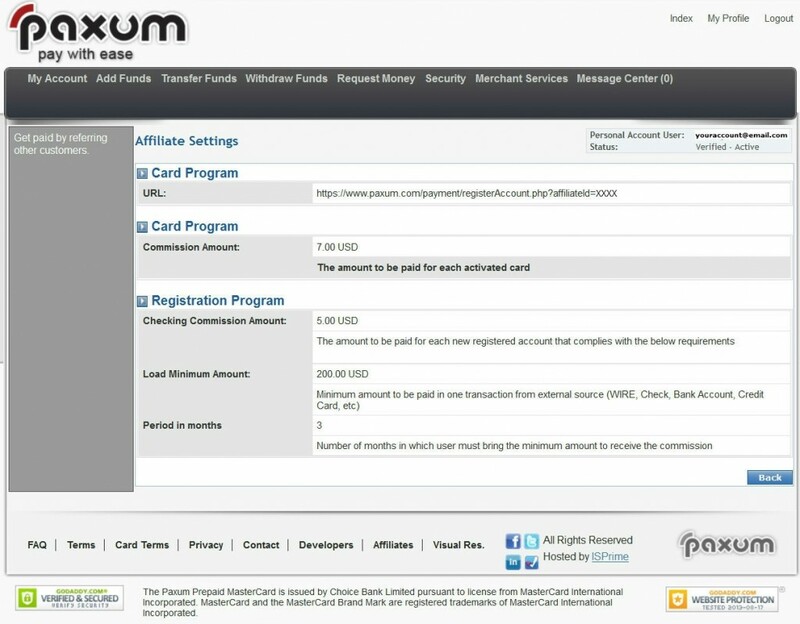 Every verified Paxum Account-Holder can enroll to receive Paxum Referral commissions. 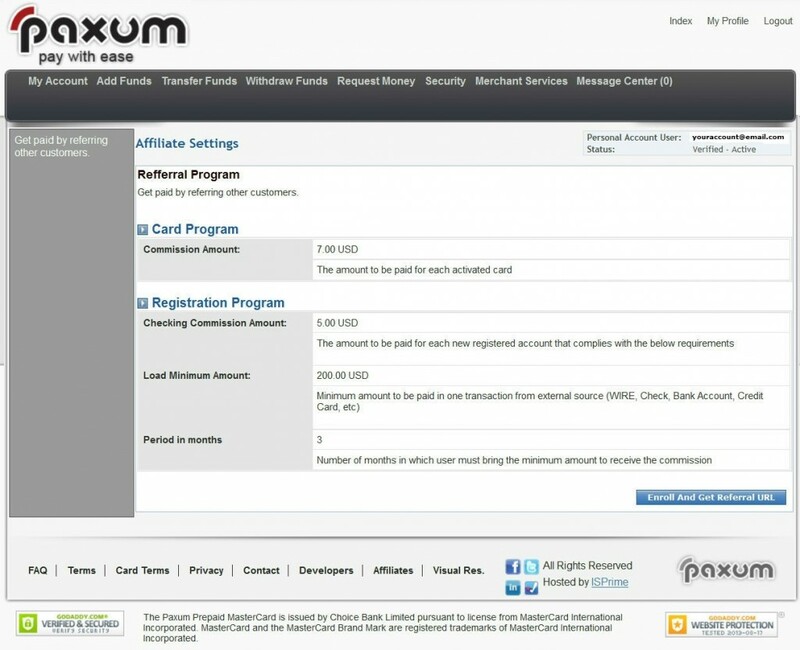 Referral commissions are earned when you recommend Paxum to your friends, family, and others by providing them with your unique affiliate URL. You can easily enroll for the Paxum Referral program and receive your unique URL to begin sending out your recommendations! 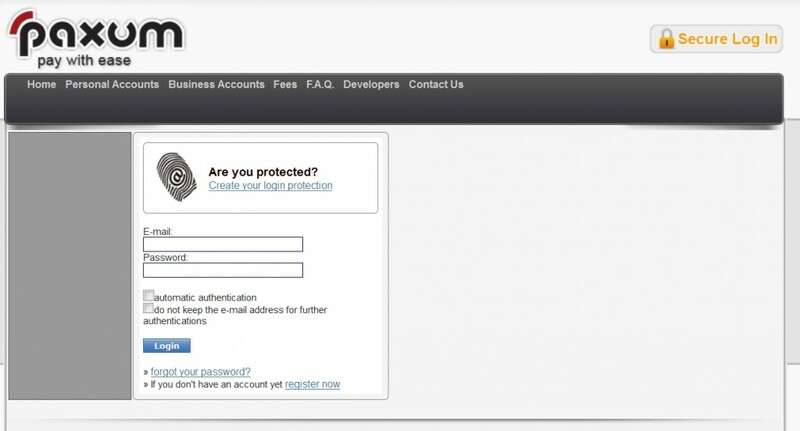 After you click the Enroll button you will receive an email notification. 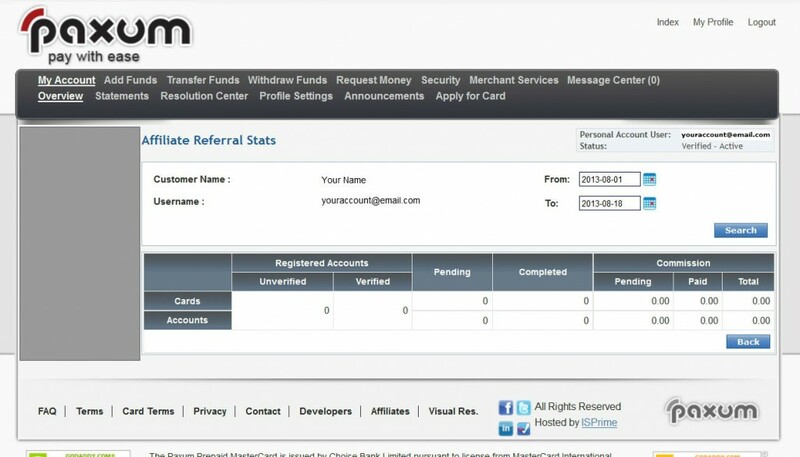 This notification contains a confirmation link that you must click in order to confirm that you wish to enroll in the Paxum Affiliate Referral Program. 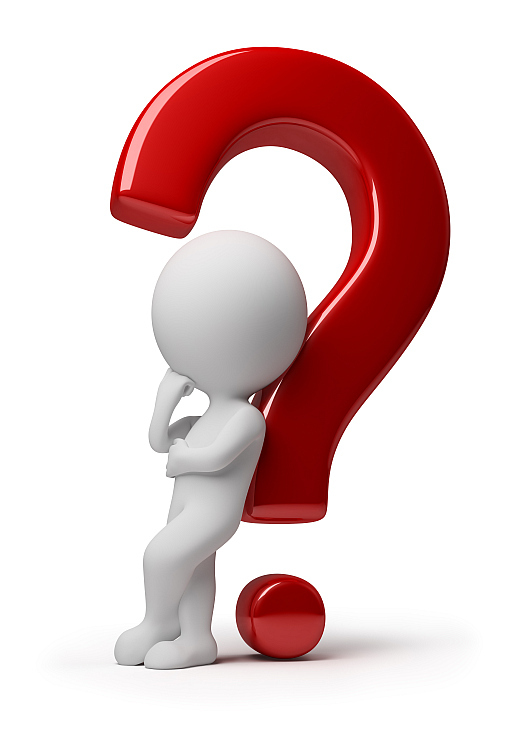 Click the link to confirm your enrollment and your affiliate referral URL will be activated.